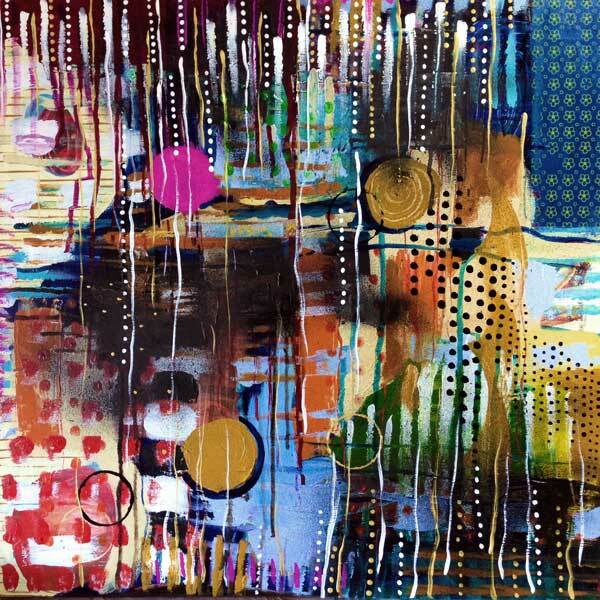 "Through", 24X24, mixed-media: acrylic, ink, paper on canvas. I'm thrilled to be exhibiting this piece in the "Anything Goes" show at the Graton Gallery. It features 119 works by 93 local artists and runs from now through February 22, 2015.